Mohawk Group and Durkan are committed to the fight against breast cancer and as a long-term partner of Susan G. Komen®, we are helping to make a difference through our corporate donation program, Specify for a Cure®. You can help too: When you specify eligible products within our program, we will make a donation on your behalf to Susan G. Komen. 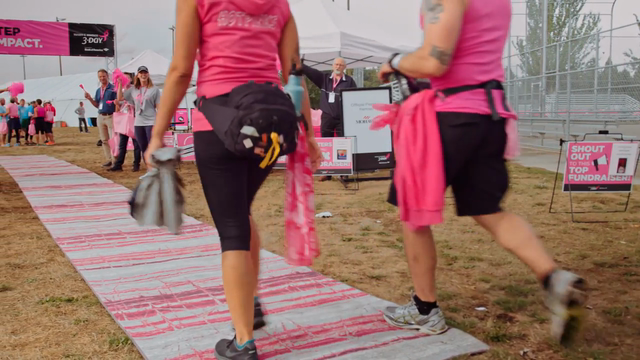 Since 2001, Mohawk has contributed more than $5.6 million to Susan G. Komen on behalf of our customers and employees through corporate donation programs like Specify for a Cure. Specify at least 500 square yards from any eligible Mohawk Group commercial carpet collection or any Durkan precision dye injected (PDI) or Synthesis carpeting and we will donate $.25 per square yard of carpet sold. Specify at least 1,000 square feet of Hot & Heavy Secoya and/or Bolder enhanced resilient tile and we will donate $.10 per square foot of hard surface flooring sold. Click here to learn more about the Specify for a Cure program.